Endure new ‘Dead Dawn’ video by Entombed A.D. They are from Sweden and formed from the ashes of Entombed. They’ve had a few lineup changes along the way, but the current version is sounding lean and mean. “Dead Dawn” came out in early 2016, sounding like a murderous thump of a hammer across an unsuspecting skull. 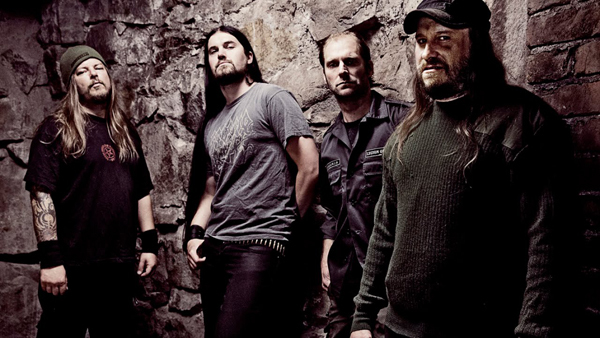 The band recently released a video for the title song, ‘Dead Dawn’. Guitarist Nico Elgstrand had this to say about the title track video, “Finally a serious video without the usual nonsense often associated with metal these days. This one has depth and a very important message that we think is overlooked in today’s media climate. Anyone with half a brain will stop with whatever they’re doing and realize that we must take a stand against these unjust accusations that metal is for stupid people, that’s simply not true and this video we think portrayed it beautifully! Dead DawnEntombed A.D.Swedish metal is generally better than American metal. There. I said it.